A natural coconut fibre dust brush, biodegradable, naturally anti-bacterial, vegan, chemical free and contains no micro plastics so is safe for your family and the planet. 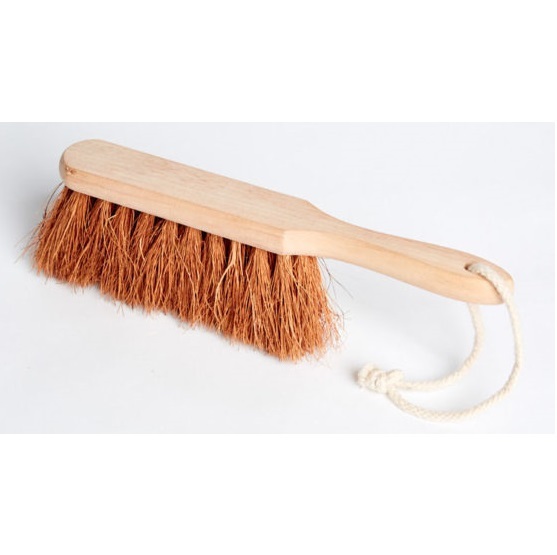 A great natural coconut fibre dust brush with Rubberwood handle, a waste product from rubber production. The natural plant bristles sweep and don’t flick the dust, won’t ball on the ends and are easy to wash. The fibres won’t melt with hot coals so is great for fireplaces. Coconut is biodegradable, naturally anti-bacterial, vegan, chemical free and contains no micro plastics so is safe for your family and the planet.